Luis Sena has dedicated his entire career to working for the poor who lack spiritual and material resources. 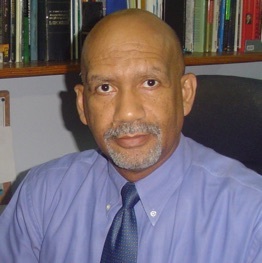 He was born and raised in Santo Domingo and graduated as an architect in 1980. After graduation, he became a follower of Christ. His newfound faith inspired his twenty-eight year career in community development with Food for the Hungry International. From 2011-2013, Luis served as the Program Manager for the Esperanza-Edify program. In 2014, he joined the Edify team serving in various leadership roles before taking on his current role as Latin America Vice-President. Luis also served as co-pastor and teacher at a Baptist church for 27 years. He lives in his hometown of Santo Domingo and is married to Carmen. They have three children: Elizabeth, Sara and Luis David.